Mr. Darsen | ". . . for the kingdom of heaven belongs to such as these." ". . . for the kingdom of heaven belongs to such as these." Wow! I’m really excited to be part of what Simon Parry and his group are doing. Simon contacted me in 2013 about his magazine and I’m thrilled to help promote such a great project. Every time a new magazine comes out my kids are glued to the iPad watching the embedded content and reading the stories. Plus, it is a free app… that’s right, it is totally FREE. Download your FREE copy today on iTunes. If you are looking for a good ministry to support they are always looking for people to partner with them. Our Family is making plans to financially support them in 2015. If you are looking for a good resource that teaches you how to play guitar you should try Mark McKenzie’s website. The lessons are available online for every level of guitar player. From day one on how to string, tune, and what is a fret… to tips and tricks on how to improve basic rhythm guitar playing and solo electric shredding. Click Here! I’m Darsen, a volunteer kid’s worship leader at Reimage Church in Winterville, NC. 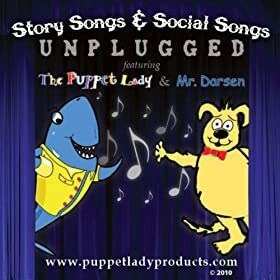 I write music specifically geared for children ages 3 to 10. Every Sunday morning I volunteer at my church, leading the 3, 4, and 5 year old kids. This is such a rewarding experience. About a year ago, parents started asking me to make a CD to play in their car. So, we launched a Kickstarter campaign to raise money for the project. Click here to see the fundraising page. With the help of the campaign supporters and my local church body, we released my first solo kid’s album. David Pridgen was a huge contributor to the album and his arrangements transformed my very simple music.